Beaver Stripes went with Universal Products for a few reasons, but we stay with them for may more. Besides their history, along with ours, their quality has been maintained and improved over the years. Giving the professional Installer, along with the "weekend car buff" the confidence they are installing a great product. We could go into details about the different qualities of vinyl striping available, but we will leave that to the manufactures. "Our premium grade TFX Professional Striping system was developed exclusively for use in the automotive market. A special adhesive was developed specifically to make it possible to reposition the tape without breaking it or leaving an adhesive residue. It immediately gained popularity and recognition among professional restylers, and now stands alone in the marketplace as the benchmark for all other brands. A full color spectrum is available in both opaques and metallics." Courtesy of Universal Products. We do offer 3M, and others, but our most popular has got to be the Universal TFX tape. We also carry Truck and Van specialty tape, made to match the popular pick-ups and vans of the 70's through the 90's. If you need to match a stripe kit, contact us, there is good chance of us finding you, or creating a match! Just for your information, most automotive suppliers, refer to the size of pinstripes of the overall size. For example a 3/16 would be a strip set of 1/16 color, 1/16 open, 1/16 color. Most of the stripes come in 50 or 150 foot rolls. As a supplier, we do not sell by the foot. Most shops will keep their stripes in a cooled storage environment, keeping away from heat. This is why we keep ours in the air conditioned comfort of an office environment. Along with all of our graphic kits. The above size chart is what you will find in stock at our retail location, in all the colors available. There are other configurations available, thru our web store. Keep in mind if you are looking for individual stripes of say 1/8" you can use the multiple size configurations above, removing the second stripe (while you are removing the clear masking) to achieve the single stripe size you desire. Also available is cutting to size, while you wait, ask us for details. Other pages; Duo Color Stripes, Truck Specific (two tone), Accents, Themes, Installation and Supplies. For those of you that still want real painted stripes, there are still a few good ones around the valley. See our "Local Link's" page for more information. But for those of you pin stripers that are in the Phoenix area, we can supply you with your tools and supplies. Including paint from 1 Shot, Brushes from Mack and Stencils from Finesse. Stop in or give us a call for your pricing. The images are of work done by Chavo, you can find his information on our Local Links page. As you can see striping is not limited to automobiles. 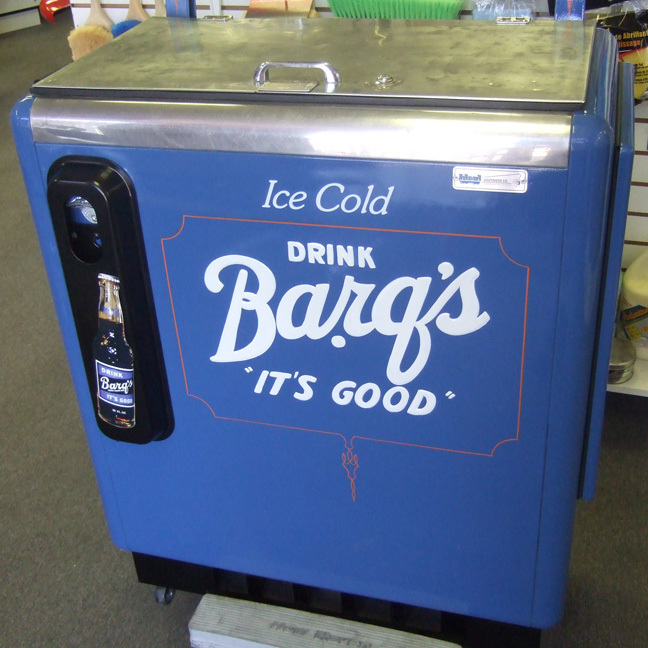 Think about all the older collector items you are restoring. ** Exterior durability is based on Proper Installation and Vertical exposure, also considering the heavy duty cleaners and abuse commercial vehicles take on. *** Any Horizontal Application of products such as Vehicle Hood, Roof or Deck Lid, is considered non warrantable (Except for Endura Products) This also applies to Vehicle Wraps. Please note that Beaver Stripes will warrant any product we sell and install for the Manufacture's warranty period, but are basing the durability lengths below based on the worse case scenario. We have seen vehicles that are well maintained last well beyond Universal Products Durability statement. But we have also had to try and remove cooked metallic graphics that others have done, in less than 2 years of life... Along with factory graphics on RV's that are less than 5 years old... So be careful of the products you are comparing ours to.. Do they have the Vinyl Durability records? 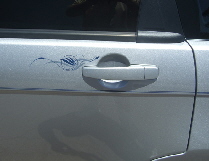 Anyway, when considering vinyl graphics on your vehicle, take into consideration of the care of the vehicle involved. Say it's your normal everyday driver, keep away from putting graphics on the hood, roof, deck lid and bumpers. Keep them more on the sides. Then again lets say you have a cool ride that you keep garaged, and drive every once in a while. Then you are more than welcome to come up with any idea and graphic design, knowing they will last for many years. Either way care for the finish of the vehicle in a good way and the graphics will last allot longer. As for the RV's and Toy Haulers, we recommend having the unit detailed and waxed at least once a year, twice a year is better. This also goes for boats and any other outdoor use vehicle. Think about the cost factor, twice a year detail about $400 a year and have the graphics last 7-8 years at least. No annual detail, after 3-4 years, graphics replacement on a 28-34' RV (rough estimate to remove and replace) $2100-$2500. Not that we don't want your business, we would rather have your "Fun" business personalizing or adding to your toys. Take care of the finish and the vinyl will last longer. Polyester Film (Chrome Mirror & Double Gold): These rich lusters are manufactured with a polyester base to retain the brilliance of the material. FILM: 2.5 MIL metallized polyester, plus pressure sensitive adhesive. Liner: 78# White Kraft. Exterior Durability: * 1 Year (See Above) Universal Products: 1-2 Years. ^Note this is not recommended for exterior use on a vehicle, if you are looking for a Chrome Accent Piece for your vehicle, we have available an alternative for you to use. This material is made of ABS Chrome material that can be cut to fit the area. Please contact us for more information. Endura: A premium quality, flexible cast vinyl film specifically engineered to offer enhanced durability in horizontal applications. Endura series films are recommended for use as accent stripping decorative decals and diecut parts for Automotive, Marine and Recreational Vehicle applications, particularly in applications which require durability against sun exposure. FILM: 2.4 MIL premium cast vinyl, plus a permanent acrylic pressure sensitive adhesive. Liner 78# White Kraft. Exterior Durability: * 7 - 9 Years, vertically applied, * 3 Years horizontally applied.